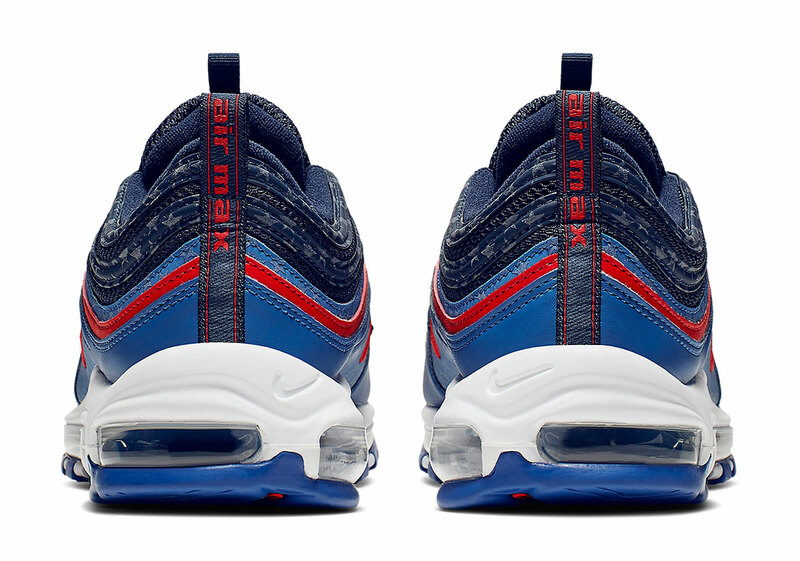 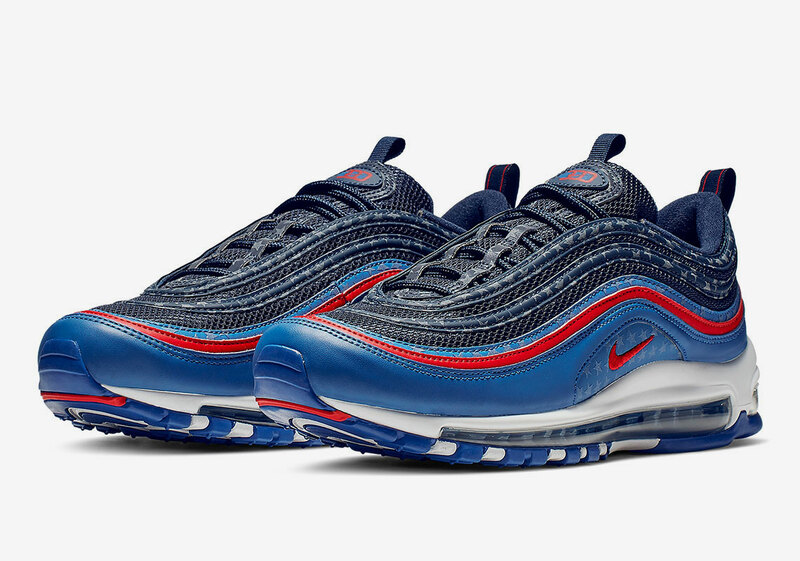 The 4th of July is still months away, but Nike is apparently ready to celebrate a little early this year, as a new patriotic take on the Air Max 97, part of the “Home & Away” pack for Dallas, Texas, has been revealed. 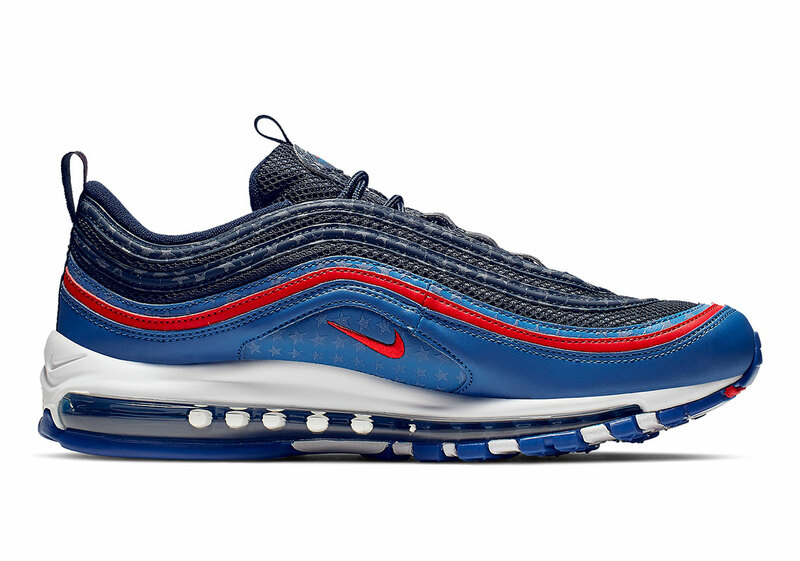 The upper combines two shades of blue with a touch of red interspersed as well to provide a pop of contrast: a dark navy appears on the top half, while the bottom half elects for a lighter royal blue and the two are split in half by a sporty red stripe. 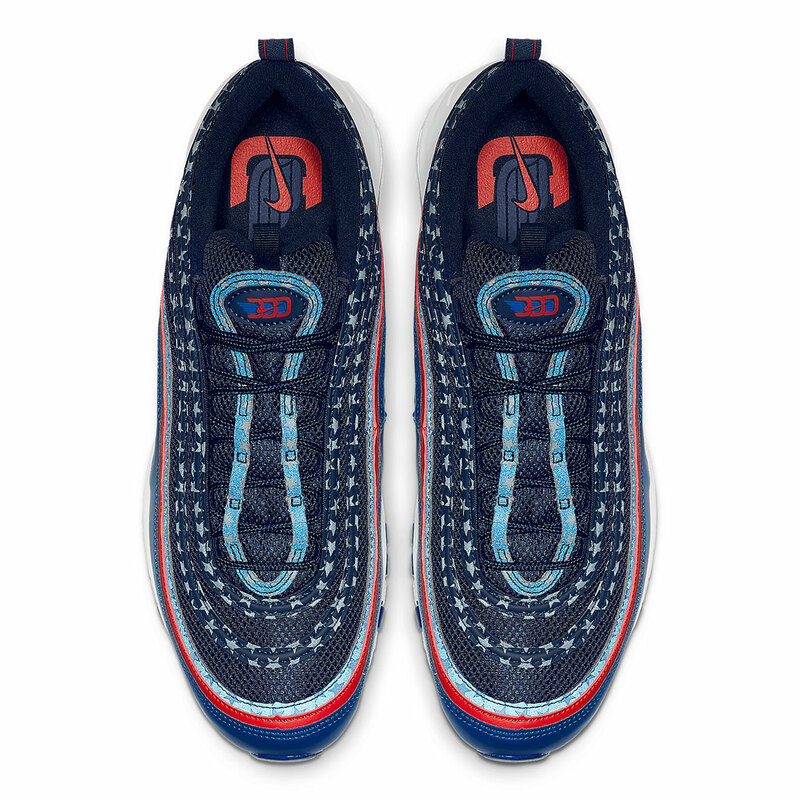 Many of the uppers’s swooping panels are also doused in a repeating star print that would make Uncle Sam himself proud, and a “DDD” graphic appears on both the tongue and the insoles for a nod to Dallas’s “Triple D” nickname. 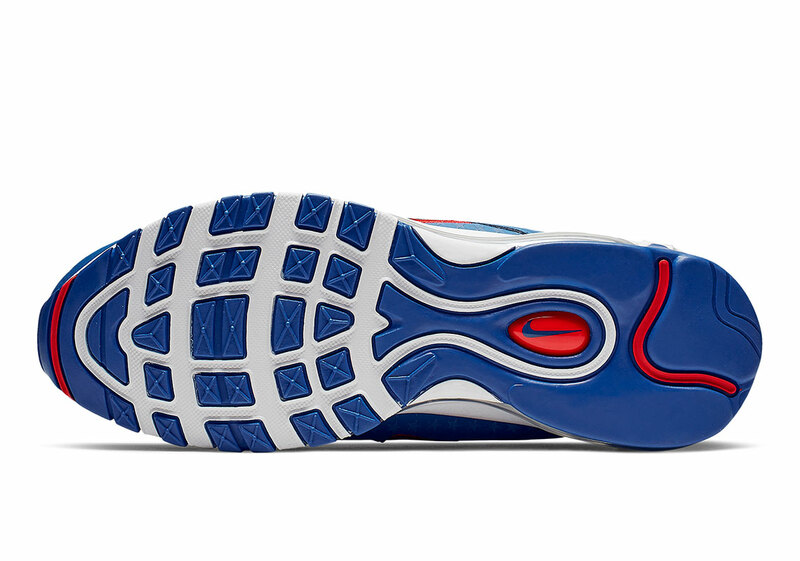 The shoe is then completed by a simple white midsole with a blue Air Max cushioning unit. 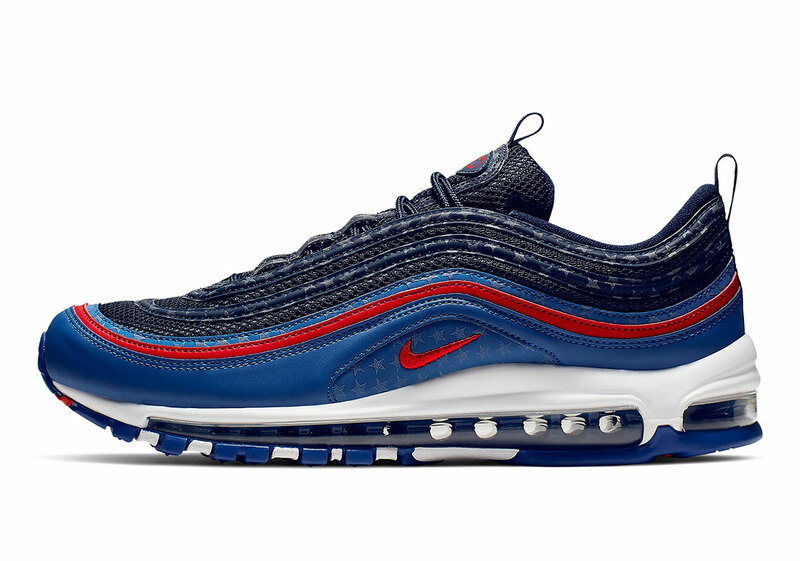 Enjoy a full gallery of official images below, and look for these new 97s to drop exclusively at the retailers listed below for $170 USD alongside the other href=”https://sneakernews.com/2019/02/04/nike-air-max-97-dallas-cd7788-001/”>Air Max 97 from the pack.